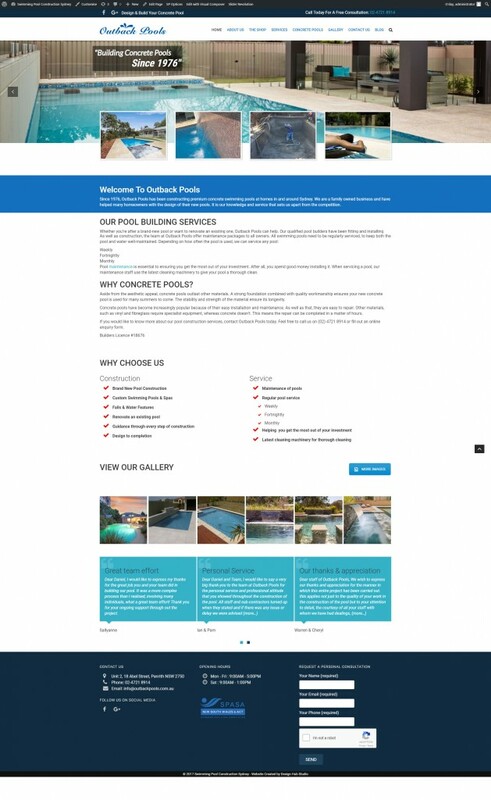 Outback Pools is based in Penrith, New Soth Wales and were looking for migrating their website from Joomla to WordPress and approached us. They were given a set of WordPress templates to choose from. 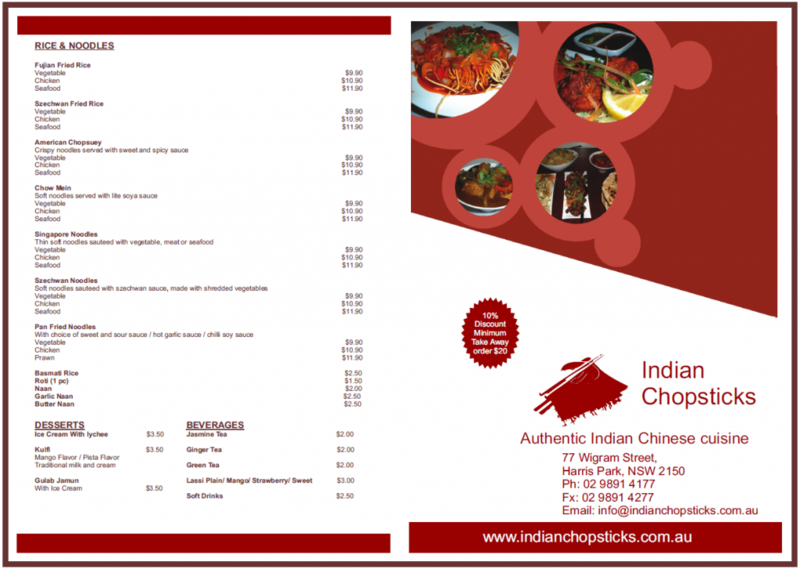 Once the template was finalised, the website project was completed in 10 days. The end result, A great website with amazing images of Exotic pool designs. If you have a requirement for migrating a WordPress site or changing a theme, Please contact us with your requirement. 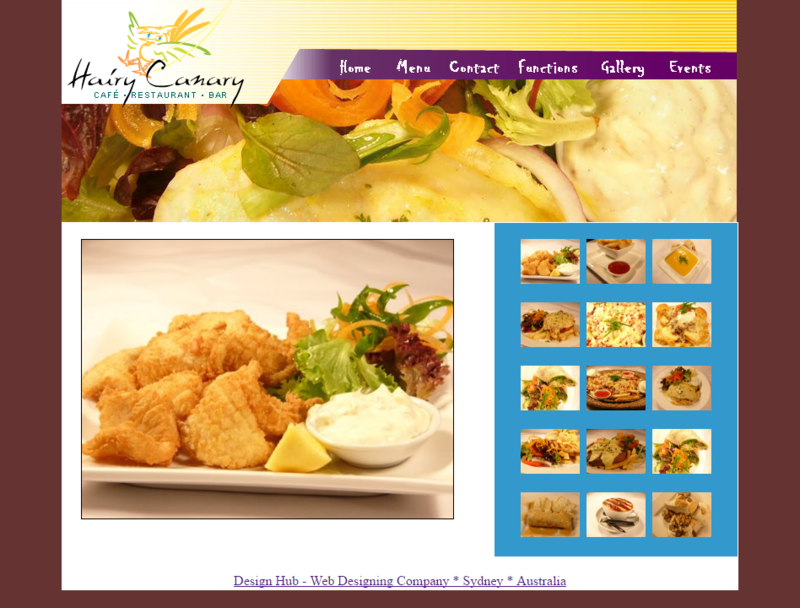 Cucina Locale, a high-end revolving restaurant based in Blacktown, Sydney were looking for a website revamp. 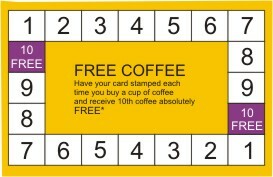 They wanted an exclusive design that would complement their persuasion of excellent service. The stunning food images and an excellent WordPress theme makes this site look as amazing. 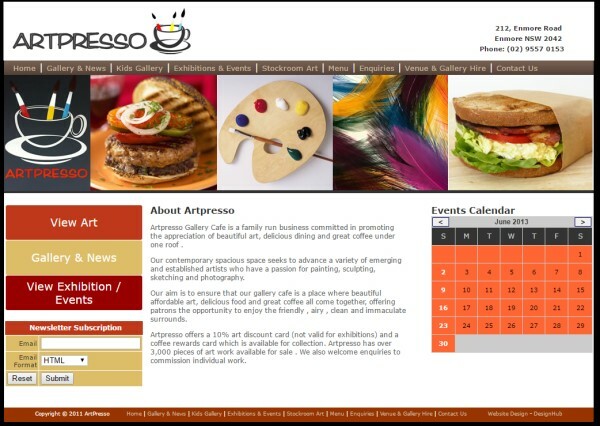 Owners of Artpresso Cafe in Sydney wanted a new logo designed and a website designed for their cafe. As they had an idea of what they wanted for their logo, we started work on their logo and after a few iterations and changes, the final outcome was what the client needed. The website had to be created to showcase their events and the cafe menu, We created a website management section that allowed them to create events and update the website. For creating a website or a logo design for your business please contact us. Aqua Photography base in Sydney, had stunning photograph collection and for us to put them together into a website was an exciting experience. The layout and display of the collection of photographs had to be done in a user-friendly way so that the users could appreciate the stunning visuals. 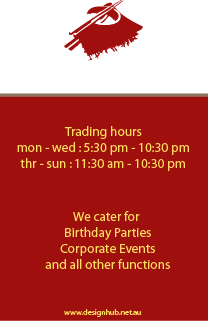 The colour of the website was coordinated with business stationery. 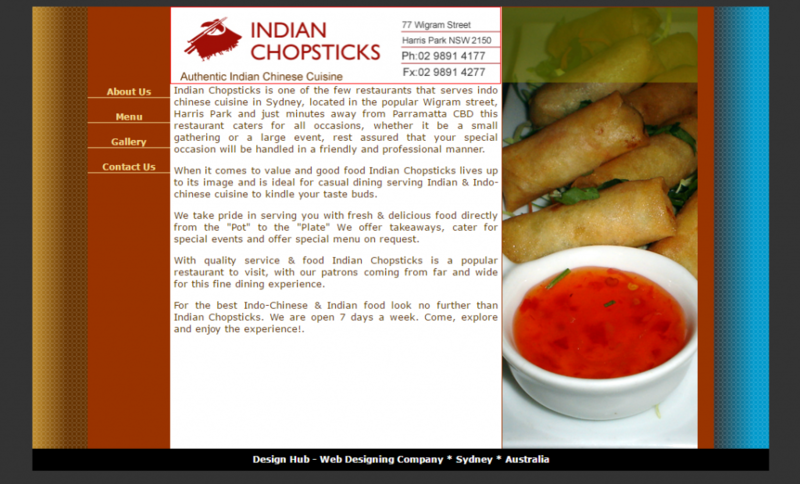 We can create amazing layouts for a business website design. 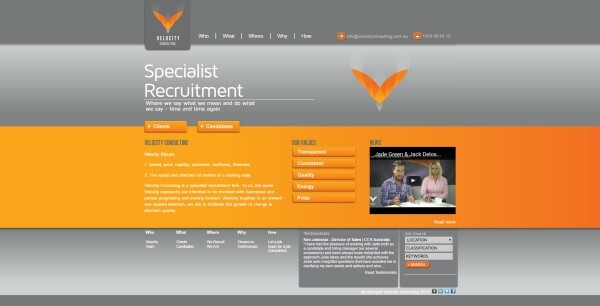 We were approached by Jade Green the Managing Director of Velocity Consulting, a specialist recruitment firm based in Sydney CBD and she had a stunning design created by a Graphics Designer, She wanted us to convert the design into a website and integrate the website to a Job Search Database. We created the animation of her website using jquery so that it would work on Desktop and Mobile Devices. The result was an amazing website. Contact us today for any Web Designing work. 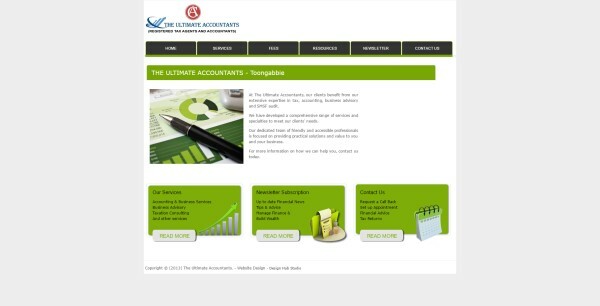 The Ultimate Accountants is a fast growing chartered accountancy firm in Toongabbie, west of Sydney. They wanted to re-design a website for their accountancy practice. After having a couple of consultations we suggested the client to create a website that would allow users to access all the information with an easy to navigate menu. The end result was well acknowledged by our client and their customers. We have some great website design packages for accountants, medical clinic and small businesses. 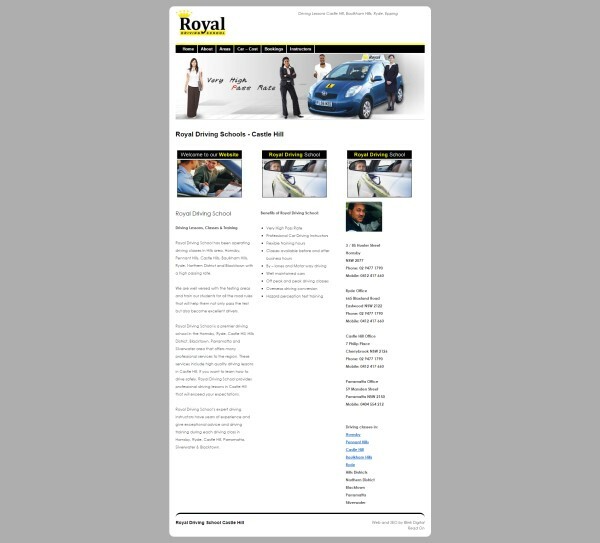 Royal Driving School in Sydney wanted a simple website designed to showcase service and contact details. 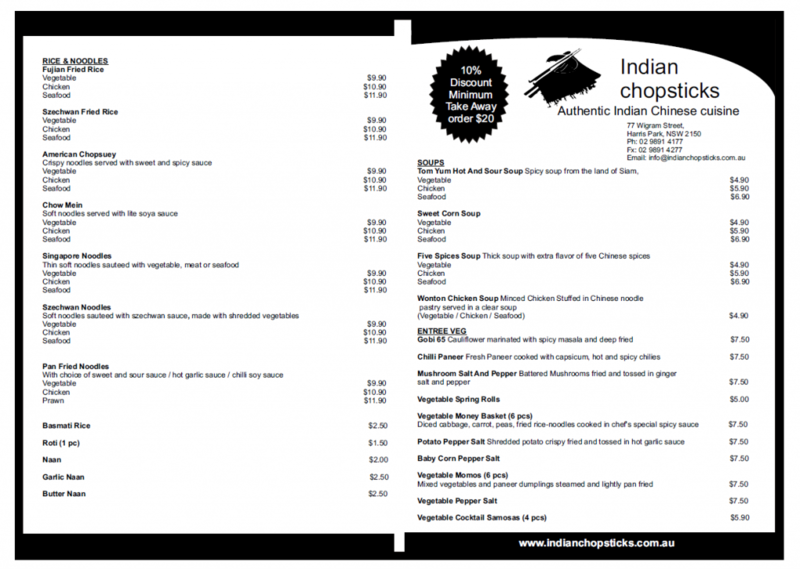 The website was designed with a quick turnaround. 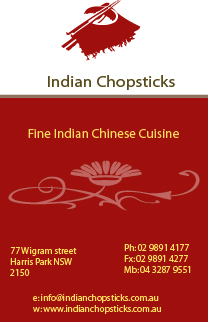 Roger Channa is the Owner and Instructor of Rogers Driving School based in Parramatta. 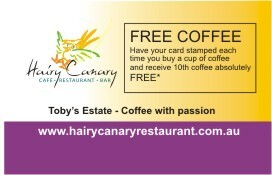 They provide driving classes in Hill District, Blacktown, Epping, Ryde and other North West Suburbs of Sydney. His requirement was to create an inexpensive website for driving school with an online booking form.